The Honda WRV has been one of the best sellers from the Japanese manufacturer. The crossover has sold more than 50,000 units, thereby becoming one of the most important products for the company. 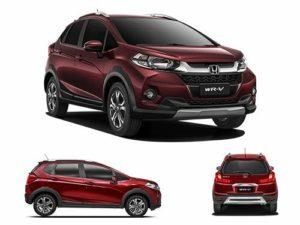 Honda WR-V clocked 37,031 units last financial year and the company says that the crossover accounts for 28% of its sales. Honda WRV was conceived in India and is the first Honda product to have extensive R&D work carried out in India. This is therefore an important milestone for the company. As per Honda, 80% of the sales come for the top-of the line VX variant and only 20% were in the entry-level S variant. We have in past also pointed out that surprisingly, one of the key factors for high sales of WR-V in its category has been the offering of a sunroof. The WR-V gets quite a lot of changes over the Jazz. It comes with all new front and rear bumpers and a nice imposing grille with the Honda logo. The headlamps and tail lights also get a new design and there are quite a lot of styling elements that give the crossover a funky appeal. The headlamps also get LED DRLs. The WR-V also comes with body cladding, skid plates on the bumpers and striking alloy wheels. The ground clearance has been increased too and so has the wheelbase. The wheelbase now stands at 2555 mm compared to the Jazz’ 2350 mm. The WR-V is available in colours like Orange, Grey, Maroon, Silver and White and it definitely is a looker. There are enough storage areas in the cabin and all four doors have bottle holders. There are two cup holders in the centre floor console. The AC is really powerful and cools the cabin in no time. The 363 litre of boot space is usable but it can’t be extended by folding the rear seat’s backrest down. 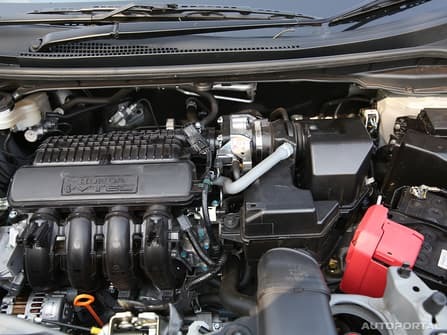 The Honda WR-V has the same engines as the Jazz. It has a 1.2-litre petrol with a five-speed manual transmission. The gear ratios have been changed though, for improved driveability. The petrol is a smooth engine and it is good to drive in the city. It is not outrightly powerful. To overtake, one needs to downshift, as the torque sets in late in this one. However, for the city it offers a smooth drive.The need to shift gears isn’t very often. The diesel engine is the 1.5-litre unit with six-speed manual. This engine has very good performance. The same engine comes in the Jazz too. The diesel engine now gets a lambda sensor, which is a first in any Honda. This helps in controlled emissions. The diesel engine is quite punchy but is also noisy. The cabin could have had better insulation to reduce noise inside. This is one chink in the armour for the WRV. The Honda WR-V sits perfectly between the Jazz and City. It comes with good bells and whistles and is a practical car. It is also fun to drive and offers good fuel efficiency. The WR-V makes good sense for someone who wants a funky looking car that offers a lot.